Canadian/American soprano, Lauren Pearl Eberwein, is known for her “luscious, rich tone”(Opera Canada), “Robust, dramatic voice”(Broadway World), and for her reputation as “an artist of subtle skill” (Classical CD Choice). 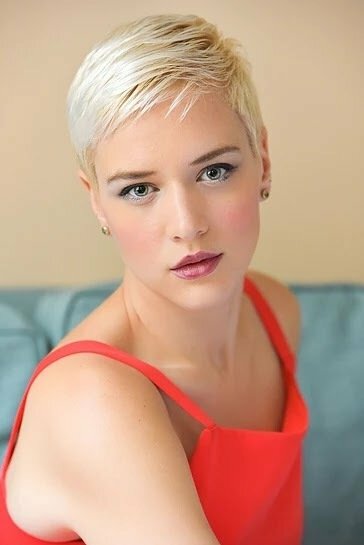 She is a graduate of the Curtis Institute of Music, was a member of Opera Philadelphia’s Emerging Artist Program, and is currently a member of the Canadian Opera Company’s Ensemble Studio. This season with the Canadian Opera Company, Lauren sings the role of Fünft Magt in Elektra, a performance of Musetta in La Boheme, and covers the role of Sabina in the World Premiere of HADRIAN by Rufus Wainwright. Last season Lauren sang the roles of Gianetta in _L’elisir d’amore,_ Countess Ceprano in _Rigoletto,_ The Cook in The Nightingale, and a concert performance of Dido in Dido and Aeneas. She made her COC debut as Wellgunde in Wagner’s Götterdämmerung; and made her Lincoln Center recital debut at Alice Tully Hall, singing songs of Liszt with pianists Adam Golka and Orion Weiss. Lauren made her Carnegie Hall debut in 2016 singing Handel’s Israel in Egypt with the New York Choral Society.